You may have a headache, some back pain or even a leg cramp. There are certain pains that seem to come and go for nurses (new and seasoned! ), no matter what you do to stay limber and healthy. But one ailment you can prevent is unhappy feet. Sure, they may be sore from dashing from room to room on an especially busy night, but we’re talking about that aching feeling from running around in uncomfortable footwear. As a future nurse, your job will demand comfy shoes and we’re here to give you some top picks for achieving just that! Keeping it basic, we love these simple black slip ons from Cherokee. Dubbed the “DBL Anywear in Black,” you can be sure you’ll be able to match these shoes to any scrubs outfit, and – most importantly – you’ll be comfortable all day. (Comes in gray and blue as well). Your tootsies might tell you that they want a more relaxed look and feel in their wardrobe. These athletic sneakers actually resemble a pair of Chuck Taylors. It’s a great casual style that would look particularly good with an EMT-style scrub pant. It’s packed full of goodies with a removable EVA sock liner and rubber inserts to support the forefoot and heel. These shoes go from daytime to evening wear if your typical evening includes shooting a few hoops on your neighborhood b-ball court. 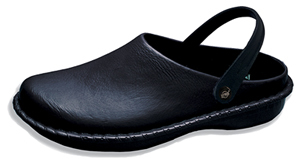 The Amazing clog in Black Oil Leather is one smooth ride. 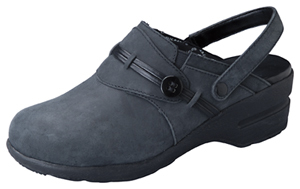 Unlike other clogs with a rigid strap that can dig into your heel, this one is elasticized for a snug but comfy fit. The interior is lined to absorb moisture and make the leather last longer. Plus, the heels give petite wearers a bit of a boost with a two-inch height. Perhaps your dress code dictates that black and white are the only acceptable shoe colors. See if you can get away with wearing a pair of black & whites! 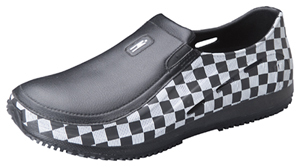 With “Spider Traction Max” outsoles, the Step In is built to be slip resistant. But you probably shouldn’t try climbing the walls—even if your fellow students make you feel like it sometimes. 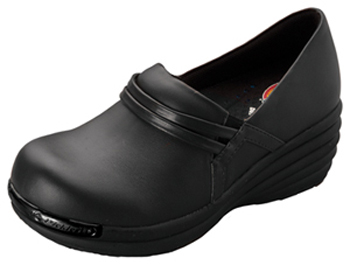 The AnyWear Exact is an injection-molded, slip-resistant clog that offers you firm support…perfect for those 12-hour shifts! 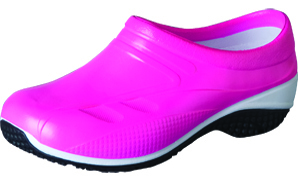 It has a unique airflow system to keep your feet cool and fresh and, in addition to traditional colors, now comes in fun, vibrant hues like neon pink (pictured), green, blue and yellow. 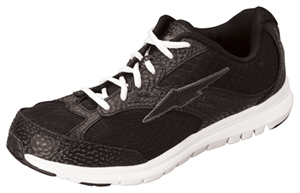 This is a jogger-style shoe with a wavy rubber outsole (hello, extra stability!) and mesh upper. The shoe has a removable sock liner designed both for moisture control and padding. 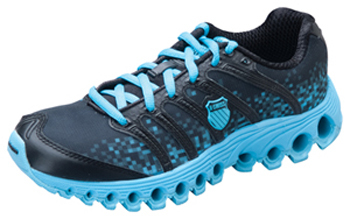 Nurses love how lightweight these kicks are; they come in a variety of colors, such as blue/black (pictured), neon green, black/pink and black/white.